After the skywalk our plan was to go to the fish market but to our bad luck it was closed. All the small local shops were also closing up. I’m not sure when it closes but we didn’t end up there until a little after 8pm. So we crossed the street and ended up in a really busy area. The streets were packed and if we wanted to turn around there wasn’t really a way to do so. 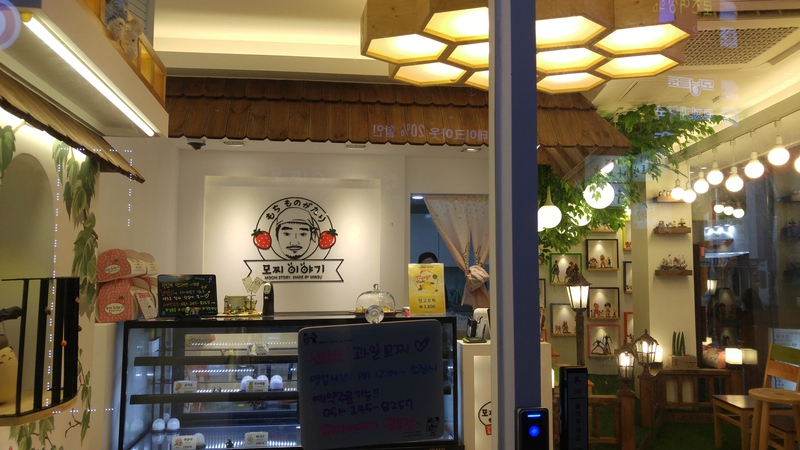 But one of the shops caught our eye, Mochi Story. We went in and it was decked out with cute Studio Ghibli characters and One piece ships. They were sold out of most of their flavors but we each got one strawberry mochi. 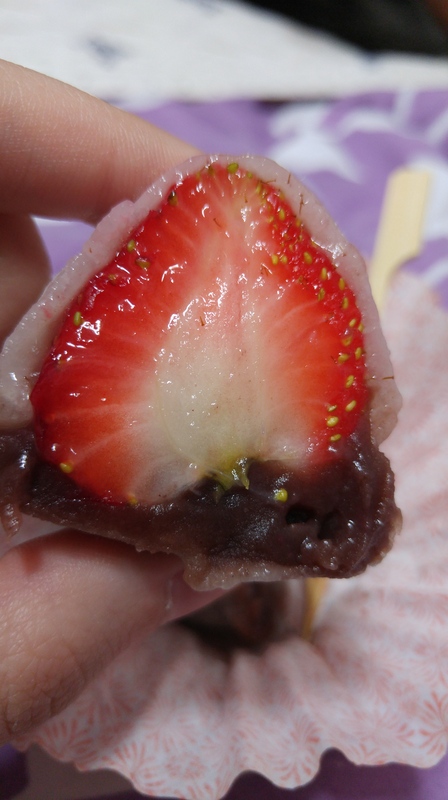 Unlike other mochi’s this one has the actual fruit inside of it and a little bit of an (red bean paste). I really enjoyed it.